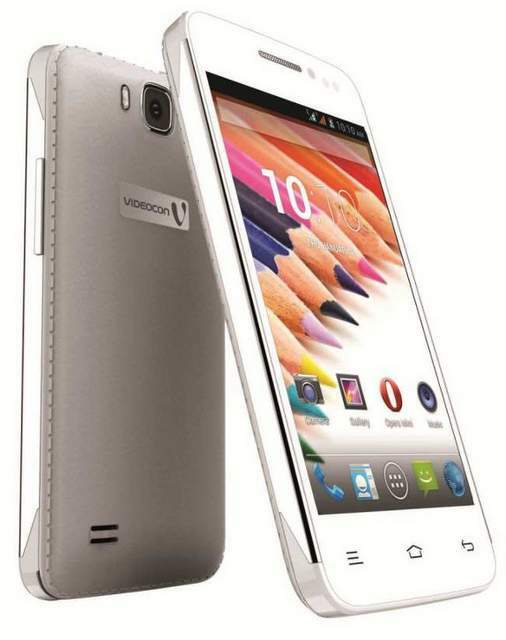 Videocon A29 has been officially launched at a price of RS 5799. The Videocon A29 features a 4 inch WVGA display and 1.2GHz Dual core CPU. It would compete with Spice Mi434 , Karbonn A8 and Xolo A500. The A29 comes run on Android 4.3 Jelly bean, better than Android 4.2. It supports Dual SIM with dual Standby. It pack with a 3.2MP primary shooter and a VGA secondary imager. The Videocon A 29 features 3G, WiFi b/g/n, Bluetooth v 4, GPS and Fm radio. It is accomplished with 512MB of RAM and 4 GB of ROM. It houses 1400 mAh battery and has micro SD card slot for memory expansion up to 32 gigs. The A29 is available in Black and White colors. The Back panel of the phone looks similar to Samsung Galaxy Note 3. It also have three touch sensitive buttons at the bottom.